A cancer imaging agent that was originally developed at Emory University was approved on Friday, May 27 by the U.S. Food and Drug Administration. Axumin, a PET (positron emission tomography) imaging agent, is indicated for diagnosis of recurrent prostate cancer in men who have elevated blood levels of prostate specific antigen (PSA) after previous treatment. Axumin, now being commercialized by UK-based Blue Earth Diagnostics, is also known as 18F-fluciclovine or FACBC (an abbreviation for anti-1-amino-3-[18F]fluorocyclobutane-1- carboxylic acid). Imaging using axumin is expected to help doctors detect and localize recurrent prostate cancer, and could guide biopsy or the planning of additional treatment, says David Schuster, MD, director of the Division of Nuclear Medicine and Molecular Imaging and associate professor of radiology and imaging sciences at Emory University School of Medicine and Winship Cancer Institute. "The fluciclovine molecule detects the upregulation of amino acid transport that occurs in prostate cancer, and can potentially identify recurrent prostate cancer more reliably than conventional imaging techniques," says Schuster, who is a Georgia Research Alliance Distinguished Cancer Scientist. "Our investigations were helped greatly by the collegial atmosphere at Emory, especially our collaboration with our urology and radiation oncology colleagues." Fluciclovine was originally developed by Mark Goodman, PhD, professor of radiology and imaging sciences at Emory University School of Medicine and Winship Cancer Institute, along with Timothy Shoup, PhD, now at Massachusetts General Hospital. Goodman is program director for Emory's Center of Systems Imaging and director of the Radiopharmaceutical Discovery lab. If prostate cancer shows signs of recurring after surgery or radiation treatment, an important question is whether the cancer can be found in the prostate bed, in lymph nodes or elsewhere in the body. PET imaging usually uses radioactive glucose, readily taken up by cancer cells, as a tracer. Since glucose also appears in the urine, prostate cancer detection efforts are more difficult because the prostate bed is close to the bladder. The amino acid FACBC/fluciclovine is taken up by the body differently than glucose, but not incorporated into proteins like other amino acids. "There is a great need for newer imaging agents to better view cancers with PET imaging, and Dr. Goodman and his colleagues are to be commended for the 20-plus years of work culminating in FDA approval for axumin this month," says Walter Curran, MD, executive director of Winship Cancer Institute. "This imaging option for men with prostate cancer will assist their physicians in selecting the best therapy for each patient." The earliest research on fluciclovine was on its use for imaging brain tumors. But about a decade ago, Emory researchers stumbled upon fluciclovine's utility with prostate cancer, while investigating its activity in a patient who appeared to have renal cancer, according to Schuster. "This led us to see if this radiotracer would be good for looking at prostate cancer, specifically because of its low native urinary excretion," he is quoted as saying in the radiology newsletter Aunt Minnie. "If you look at the history of medical science, it is taking advantage of the unexpected." Goodman, Shoup and neurosurgeon Jeffrey Olson, MD published the first paper onFACBC/fluciclovine in 1999. The technology was patented by Emory and licensed to Nihon Mediphysics, which supported Goodman's research for several years. GE Healthcare licensed the technology from Nihon in 2008, before licensing it to Blue Earth in 2014. Later support for clinical research on FACBC/fluciclovine came from the National Cancer Institute, the Georgia Research Alliance and the Georgia Cancer Coalition. Both Emory and Goodman are eligible to receive royalties from its commercialization. 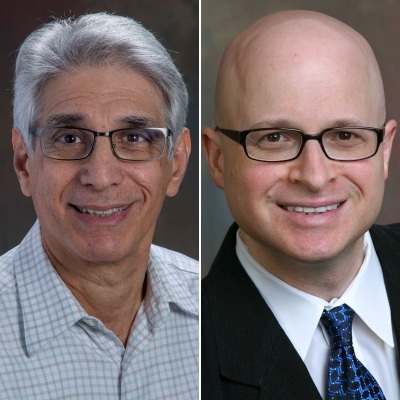 Schuster and Ashesh Jani, MD, professor of radiation oncology, are investigating fluciclovine's use in recurrent prostate cancer to guide decisions about radiation treatment, in a National Cancer Institute-sponsored clinical trial. Baowei Fei, PhD, EngD, is researching how to combine fluciclovine with ultrasound to guide prostate biopsy. Fei is associate professor of radiology and imaging sciences, a Georgia Research Alliance Distinguished Cancer Scientist, and part of the Wallace H. Coulter Department of Biomedical Engineering at Georgia Tech and Emory. Fluciclovine is also being tested as an imaging probe for other types of cancer, such as brain tumors and breast cancer. It received a FDA "orphan drug" designation for the diagnosis of glioma in 2015. Martin Sanda, MD, and colleagues are investigating the use of FACBC/fluciclovine to assess cancer severity in high risk prostate cancer as part of a collaborative NIH-supported Prostate Cancer Biomarker Center grant. View Blue Earth Diagnostics news release.